What would you blow off to ride? Confession-time. The first time I rode A River Runs Through It (fist-pump! Cleared the bridge! Husband pushed his bike across… ), I should really have been somewhere else. I had blown off the second half of the Slow Food Cycle, an event I had organised, to switch the road cruiser for a squishy bike and go charge with some friends. It was a blissful day of riding. But it was kinda naughty. 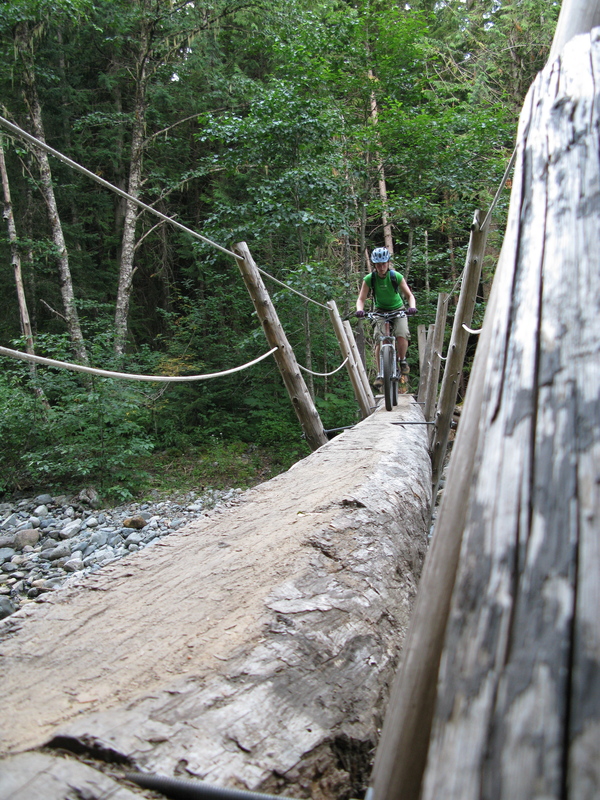 I think that kind of punkass commitment to mountain biking should make me eligible to win Bike Parks of BC’s Ultimate Summer of Free Ride contest, that was just announced today. Alas, I work for the marketing agency that is helping run the contest, so I am automatically disqualified. As such, I will redirect my passion to spread the word around. This is the most amazing prize. A summer of downhill bliss. I would enter if I could. You definitely should. Here’s the low-down, culled from the most awesome press release that has ever landed in my in-tray, courtesy of Reine Communication’s Michelle Leroux, who is the PR lead on the campaign. 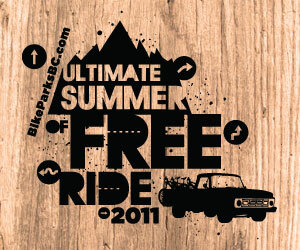 WHAT WOULD YOU BLOW OFF THIS SUMMER TO WIN BIKE PARKS BC ULTIMATE SUMMER OF FREE RIDE? $1,000 spending money, two nights accommodation at each resort, DH rig rentals, a half-day with a guide for a proper introduction to the mountain and even two lift tickets at each park for the winner’s riding buddy to be used over the 2011 summer season. So ‘fess up. What would you blow off to ride all summer long?